There will be a dedicated session for a recap of the first year of TROPOMI Operations at the annual EGU meeting held in Vienna. You can read more about the session and agenda here. An overview of many of the data products as well as the MPC activities in the past year will be highlighted. 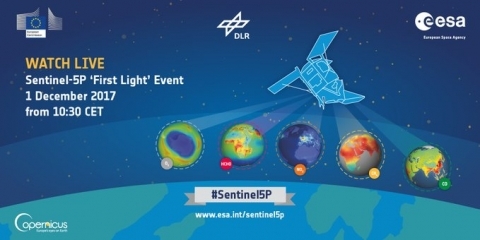 The S5P/TROPOMI team is pleased to announce that the first impressive results from TROPOMI were presented during the First Light Event held at the German Aerospace Center (DLR) on Friday 1 December. You can rewatch this event by clicking the image. 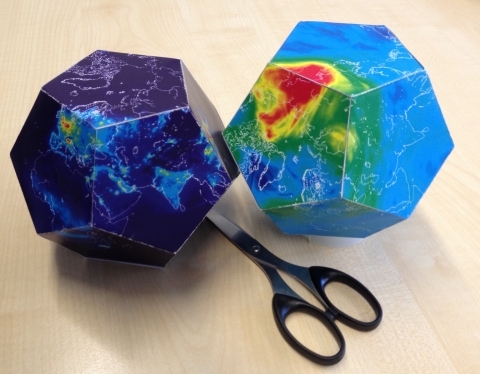 Download these fun "Make your own" projects for visualizing global concentrations of nitrogen dioxide and ozone. 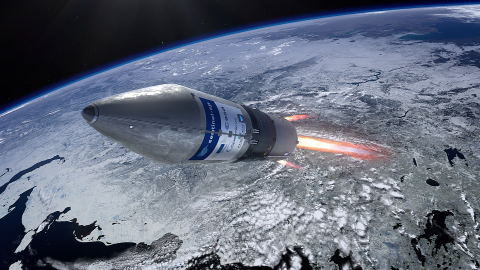 Follow the S5P/TROPOMI blog created by ESA here which brings the journey of launch preparation from the UK to Moscow to Plesetsk into light. 20 July 2017 was the last opportunity to see the TROPOMI instrument before being shipped from the UK to the launching site in Plesetsk, Russia. Here below you can find links in both English and Dutch describing this important milestone for TROPOMI. Outreach activities and materials are useful for informing the public about TROPOMI goals and results, as well as for inspriring the next generation of students and scholars. ESA has several useful sites for the Media, Educators, and for the youngest budding scientists. TROPOMI outreach information is under development and more information will be provided here in the future. A Dutch and English language site created by the Netherlands Space Office (NSO) provides outreach information about TROPOMI mission objectives and societal relevance of the measurements that will be made. You can find the link here.